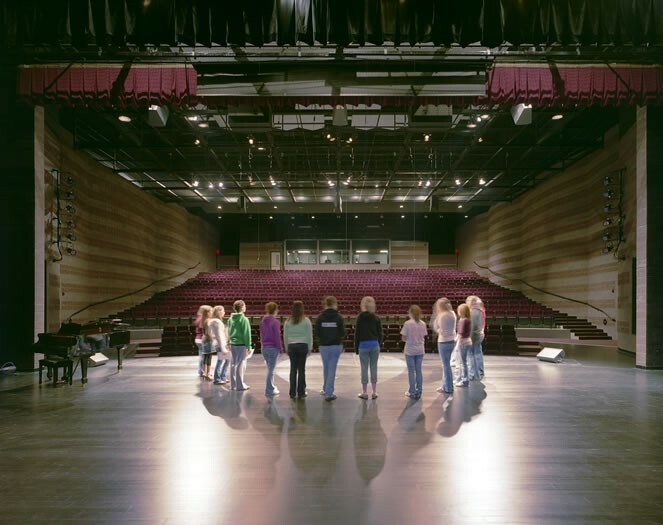 Performers and patrons will enjoy performances at these twin Performing Arts Auditoriums for many years to come. 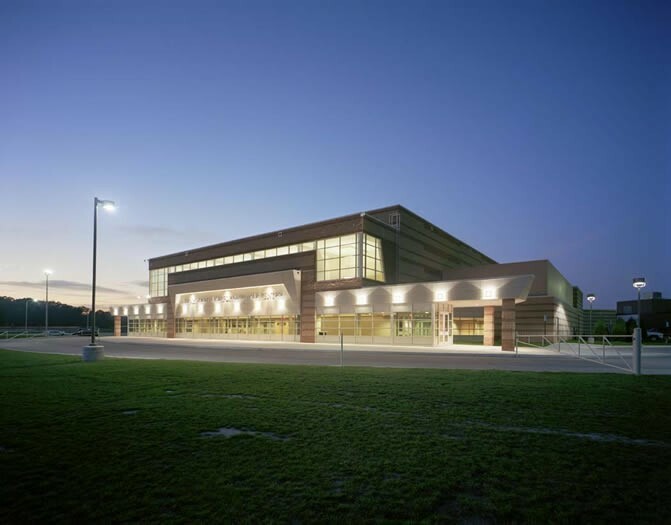 The 750-seat additions to Utica’s Henry Ford and Eisenhower High Schools provide new state-of-the-art facilities to the district and also an exciting and unique identity for each school. A dramatic light-filled gathering space comfortably accommodates guests and additionally houses both pre-function and specialty programs. 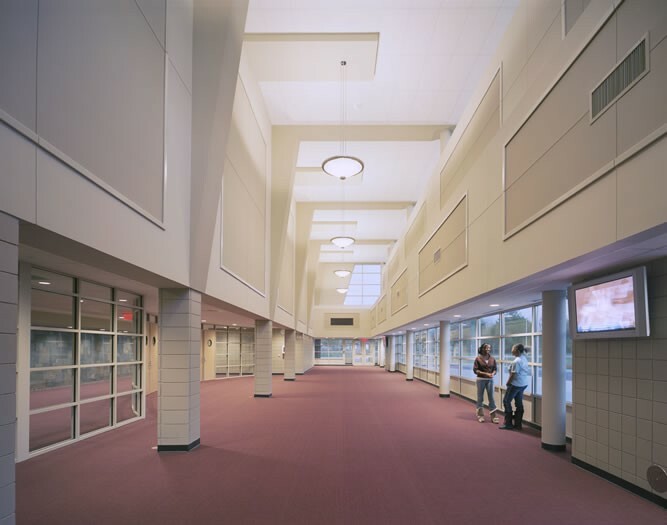 The inner lobby allows for complete light and sound separation between the auditorium and gathering space. The auditorium features continental seating and acoustically designed walls and ceiling clouds for maximum comfort and sound quality. The expansive performance stage comes complete with a wooden floor that has removable panels covering a full orchestra pit. Support facilities behind the stage include changing rooms, make-up area and a complete scene shop. Circulation allows for separation between the auditorium and gathering space and provides areas for patrons. 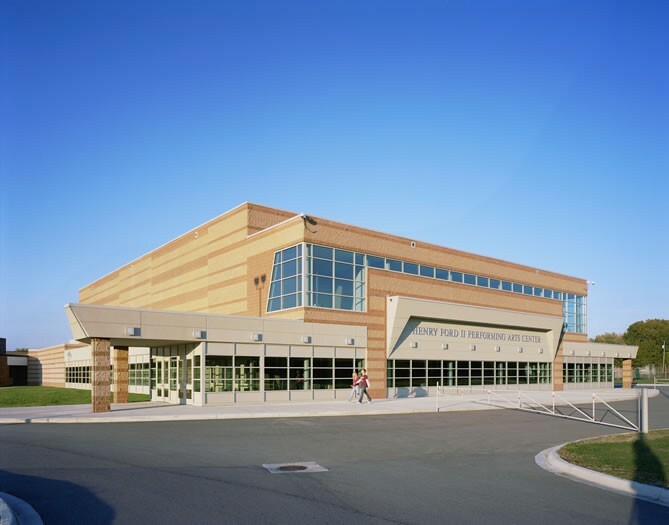 In addition, it also allows for outside use of the theatre without any disruption to the internal functioning of the schools. The auditorium features continental seating and acoustically designed walls and ceiling clouds for maximum comfort and sound quality.